September 2018: Opening Ceremony for the Black Down Stone Circle and welcome area on a very foggy day. September 2018: Opening of ArtVaults: Live 2018 at Canute's Palace, Southampton. The installation forms the backdrop to the month of events below. 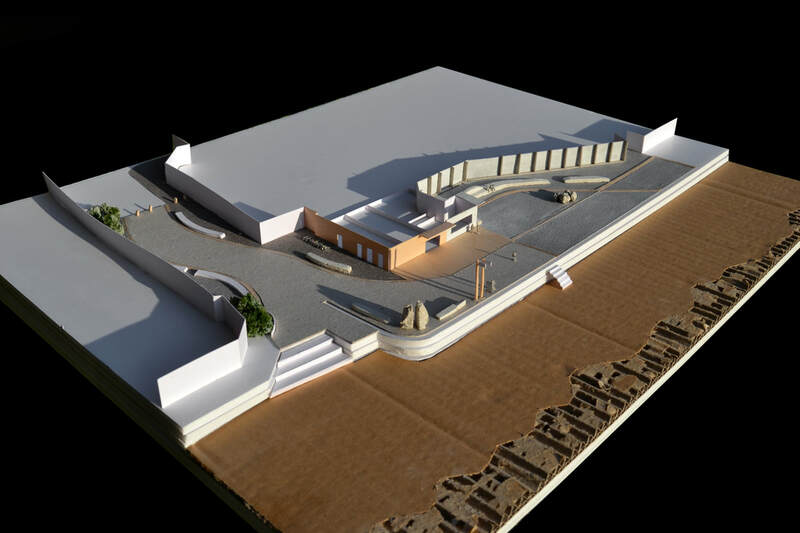 June 2018 - Dorset Coastal Connections: Commission to design two public beach front areas for Poole, competition awarded 2018. 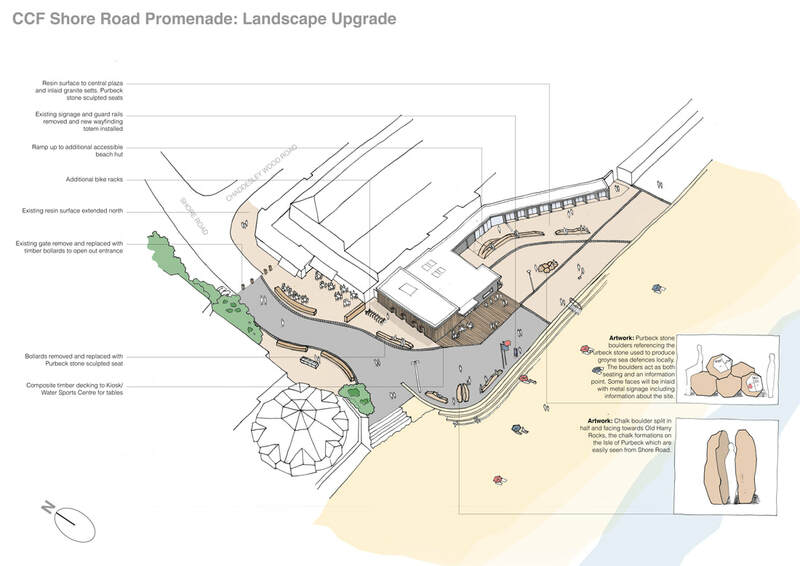 Public Consultation June 14th 2018 - https://seafront.pooleprojects.net/shore-road/. June 2018 - Black Down Welcome Area and Orientation Point: Commission to design a welcome area to a new set of walks and central Orientation Point sculpture. Work underway, due to be completed in 2018 with landscaping. The commission consists of purbeck stone walls to create picnic and viewing areas. The Orientation Point comprises a series of locally sourced Forest Marble totems, aligned to true North, summer sunrise/sunset and winter sunrise/sunset. The stones are sorted and laid from thick, blue and dressed to the bases, to undressed and buff running upwards to the thinner stones, referencing the idea of geology. The commission featured in a film about the South Dorset Ridgeway commissioned by the Arts Development Company.